The United States has reached an interesting point in the ongoing, tumultuous history of marijuana legalization. Medical cannabis is legal in some capacity in twenty eight states, the District of Columbia, Guam and Puerto Rico, likely with many more states to join the bandwagon in the coming months and years. With all this said, there is still a very active stigma on medical cannabis and medical marijuana jobs. Several states that technically maintain a “legal” status for medical marijuana are steeped in provisions that limit levels of THC or access to dispensaries. In order to give an outline of the current climate of medical marijuana jobs today, it’s important to understand some basic history on medical marijuana legality and research. Why is there still a stigma on Medical Marijuana? 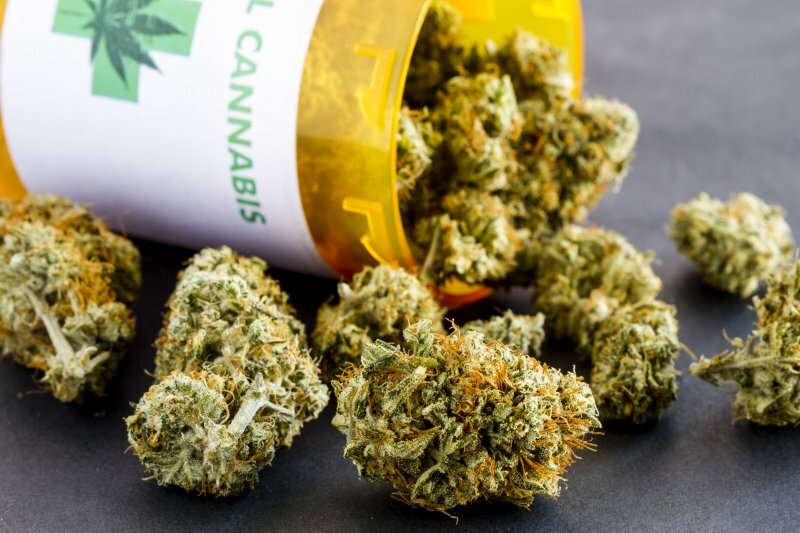 When doing a basic online research query on medical marijuana, you may find it hard to acquire definitive studies on the substance, as there are a number of roadblocks in the way of medical marijuana receiving proper funding and research due to archaic international and federal mandates. One of the major setbacks in cannabis science is the placement of marijuana as a Schedule I drug, as decided by the Single Convention on Narcotic Drugs in 1961. By labeling a drug in the schedule I category, the drug is automatically assumed not only to be highly addictive and potentially dangerous, but to be devoid of medical benefit. Because of this, the process of conducting clinical research is an exhausting one. Ultimately, medical marijuana research has relied most heavily on anecdotal experiments, since it is in direct conflict with NIDA (National Institute on Drug Abuse) which seeks to hinder effective medical marijuana research at every turn. Because of this, medical marijuana jobs do not receive the respect and attention they deserve, leaving qualified, passionate professionals with very few resources to conduct important research. Medical cannabis has long since provided health benefits including sleep induction for patients with insomnia and increased appetite for cancer and HIV/AIDS patients; however, there are potentially many more uses for cannabis treatment in patients with PTSD, epilepsy, chronic pain just to name very few. Each condition listed above have returned incredible anecdotal progress in individual patients and give hope to struggling families who, up until using medical cannabis, had been at odds with ineffective, federally regulated courses of treatment. Though ongoing research of medical marijuana continues to face significant hurdles, twenty eight states, the District of Columbia, Guam and Puerto Rico are equipped with some version of medical legalization. That said, each state or territory’s specific legislature on the subject varies greatly, leaving many patients confused. In fact, each state sustains different laws allowing smaller municipalities to decide for themselves if they will allow dispensaries. Acquiring medical marijuana is arguably less difficult in states where dispensaries are not only allowed, but accessible. Patients are able to acquire medical cannabis thanks to licensed physicians who will offer their recommendation to apply for a medical marijuana card if they believe that cannabis could provide effective treatment or care for a patient’s specific ailment. Once a card has been obtained and fees have been paid, a patient is now able to visit a local dispensary in order to fill their prescription. Purchasing and possession laws for medical marijuana vary and change greatly from year to year, so it is important to research what your governing body’s laws are in order to comply with state and federal regulation and get your medical marijuana sooner! Medical marijuana jobs in growing, harvesting, trimming, drying and curing are of course essential in order to provide patients with their products. Growing a successful crop requires a skilled hand and dedicated workers. Many farming jobs take place on the west coast in California and Oregon. Harvesting and trimming often take place late summer/early fall and require a speedy and detail oriented worker in order to produce the best product. Working at a medical marijuana dispensary might be a dream for some, and there are a fair number of reasons behind that. The “budtender” who is most often in charge of bestowing patients with their product must have an extensive passion and knowledge of cannabis products in order to prescribe the best treatment for each patient. Not only is the budtender responsible for understanding and explaining the varying types of flower in stock, they must also be familiar with alternative methods of consumption, such as edibles and concentrates. For many patients who are looking for the most potent and sustained form of treatment, the budtender will most likely recommend an edible, which is a consumable food or drink with high levels of THC that offers a longer and more powerful treatment than smoking flower would provide. Like other customer service jobs, having a knowledgeable and empathetic budtender is essential to producing a great patient experience, while simultaneously giving the medical marijuana industry the sort of professional, yet personal appearance it deserves. Caregiver positions are integral to the medical marijuana industry, as many patients, especially senior and disabled citizens, are unable to visit a dispensary themselves, so caregivers must be hired that are legally able to visit a dispensary, just like they would visit a pharmacy. While this position is what some might consider to be on the fringes of medical marijuana careers, it is an invaluable one! Medical marijuana delivery jobs are an essential service that helps to streamline the process of patients receiving their medicine without excess strain or personal difficulty. Similarly to how a pharmacy delivers prescriptions, cannabis delivery is beneficial for individuals who don’t have access to visit their local dispensary. Especially in elderly patients, delivery is sometimes the only way a medical patient can receive their medical cannabis products. Delivery services often act as the middleman between dispensaries and patients, though some dispensaries have their own transport services. Caregivers can deliver medical marijuana products as well as grow and visit dispensaries on behalf of their patient. With an industry growing at an aggressive rate as marijuana, there are untold job opportunities associated with medical marijuana marketing, photography, being a brand ambassador, design, reviewing, media and more. To get involved in the medical marijuana industry, you don’t just have to be a grower or a budtender anymore, there are plenty of opportunities to put your skillset to work! While specific medical marijuana jobs such as growing, trimming and selling are obviously essential to the continuation of successful medical marijuana practices, one of the most important medical marijuana jobs is activism! Alright, so this may not be the best paying position, but it is an important one nevertheless. This industry has experienced a lot of setbacks and slow moving growth up until very recently, so it has never been more important for the medical marijuana community to speak up and help to re-evaluate the laws and regulations placed on medical marijuana. Even as more states continue to legalize, the medical marijuana community still has to fight against being swept under the rug, especially in states where marijuana is recreationally legal. In states like Oregon, Marijuana is both recreationally and medically legal, with many dispensaries offering both services to customers and patients. While this in and of itself is often looked at as a very positive thing, the OLCC, which is the governing board for recreational marijuana in Oregon could present challenges for medical patients to receive the proper dosage for their treatment. Currently in Oregon, medical marijuana edibles are only allowed to contain up to fifteen mg of THC, which, for a recreational customer, may be just enough to experience a pleasant, sustained high. However, if you are a medical patient who is looking for an affordable, effective treatment, it may be very disheartening to realize that there is not a high enough individual dosage to provide what you need. How Can I be a Medical Marijuana Activist? So, you’ve been given all the barriers and difficulties associated with medical marijuana jobs and the industry as a whole, now you’re probably wondering: How can I be an activist? Can I actually help? Luckily, for as many medical marijuana naysayers as there are out there, there are millions of Americans in support, with specific groups and individuals dedicating their time to help further the cause to provide patients with the best treatment. It may sound a bit obvious, but the best place to start when thinking of becoming a medical marijuana activist is to do your own research–become familiar with the laws set forth in your state and countrywide. Changes in this industry happen quickly and though it’s improbable that you’ll memorize all the terms and agreements of legality or lack there of in your state and others, it helps to be aware of the overarching laws and federal narratives that are present in every state. Read up on stories about successful medical marijuana treatments. There are hundreds, maybe thousands of shared accounts of medical marijuana improving the conditions of many Americans–it’s truly an amazing thing to see! Sharing these reports on social media is another great way to spread the word in this constantly communicating world. Once you become a medical marijuana “expert,” now you can take your passion and help to educate others. Having a conversation with marijuana users, both medical and recreational, you will find that there are often some incongruencies in one person’s knowledge to the next. Like any other cause in need of activism, it pays to have a well educated group of people. When it comes to most laws surrounding medical marijuana jobs, research and use, decisions are made by elected officials. So, while you yourself may not be able to vote on a specific measure to advance the medical marijuana cause, you may be able to help elect someone who can make a great impact. Read up on officials running for office in your state to see where they stand on the issue. Another great way to get involved is to contact your elected official, or to collect signatures to bring attention to important issues. Be sure to check out some of the great organizations online that help to provide up to date information and calls to action, such as http://norml.org. When it comes to activism, the sky’s the limit: organizing protests and fundraisers are time and energy consuming pursuits, but they are well worth the effort! Though the medical marijuana industry is still entrenched in convoluted legislation, there is major room for improvement within the legal cannabis industry. Medical marijuana jobs provide services and resources for individuals who cannot access them otherwise, making it imperative that we as a society support medical caregivers, researchers and activists.